Light snow will continue to fall across the area through much of the morning commute, except east of NYC, where light snow may continue into the mid morning hours. Total snowfall amounts should generally be an inch or less. Motorists should be prepared for the possibility of slippery roads and use caution while driving. * WHAT…Heavy mixed precipitation possible. 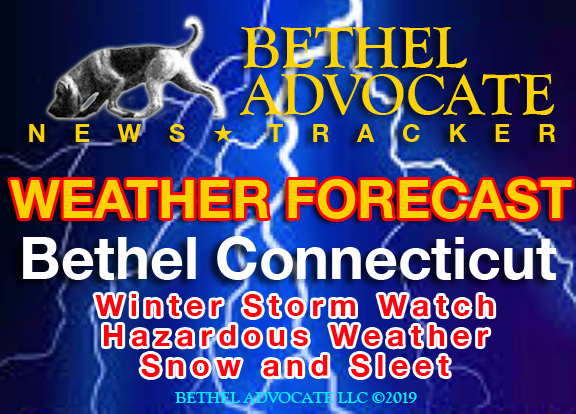 Total snow and sleet accumulations of 4 to 8 inches and ice accumulations of around one tenth to a quarter of an inch. * WHERE…Portions of northeast New Jersey, southern Connecticut and southeast New York. * WHEN…From Saturday afternoon through Sunday afternoon. * ADDITIONAL DETAILS…Travel could be very difficult. Strong wind gusts Sunday afternoon into the night could bring down tree limbs and power lines. Mostly cloudy, with a high near 38. Wind chill values between 25 and 35. Light and variable wind. Partly cloudy, with a low around 22. Light and variable wind. A 50 percent chance of snow after 1pm. Partly sunny, with a high near 30. Wind chill values between 20 and 25. Calm wind becoming east 5 to 8 mph in the afternoon. Snow before 4am, then freezing rain and sleet. Low around 24. Wind chill values between 15 and 20. East wind 9 to 11 mph, with gusts as high as 23 mph. Chance of precipitation is 100%. New ice accumulation of less than a 0.1 of an inch possible. New snow and sleet accumulation of 4 to 8 inches possible. Freezing rain before 10am, then freezing rain and sleet between 10am and 1pm, then snow likely after 1pm. Temperature falling to around 20 by 5pm. Northeast wind 11 to 14 mph, with gusts as high as 29 mph. Chance of precipitation is 100%. New ice accumulation of less than a 0.1 of an inch possible. New snow and sleet accumulation of around an inch possible. A 30 percent chance of snow before 7pm. Partly cloudy, with a low around 3. Mostly sunny and cold, with a high near 13. Mostly clear, with a low around 2. A 30 percent chance of snow after midnight. Mostly cloudy, with a low around 20. A chance of rain and snow. Mostly cloudy, with a high near 42. Chance of precipitation is 50%. A chance of rain and snow. Mostly cloudy, with a low around 28. Chance of precipitation is 50%. A 40 percent chance of snow. Partly sunny, with a high near 36.